On Republic Day, flag hoisting ceremonies and parades by armed forces and school children are held in different parts of the country. The grandest and most important of these parades is held at Rajpath in New Delhi, which showcases a multi-hued image of the country's rich cultural heritage and military prowess. 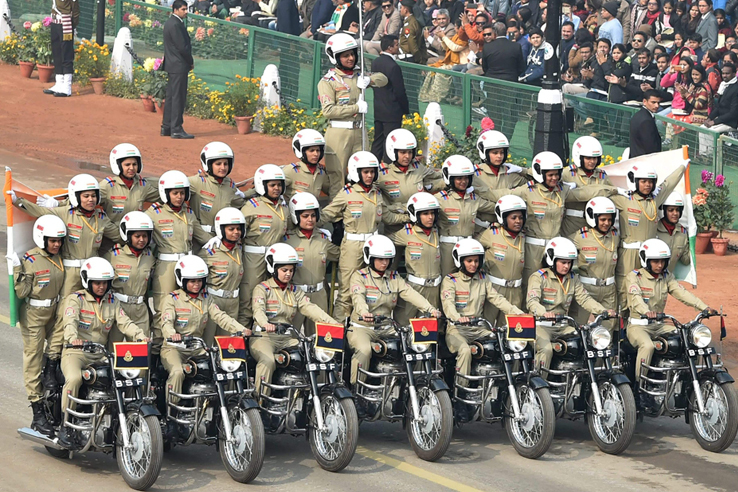 This parade is presided over by the President of India. One of the main functions of the Republic Day Parade is to pay tribute to the martyrs who have sacrificed their lives for the country and to confer bravery awards on military persons, citizenry and children for showing courage in the face of adversity.